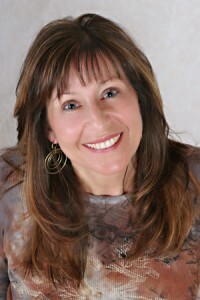 Beth Wilson is a best-selling author, speaker, producer, TV Host and Transformational Life Coach. Her first book, Meditations for New Mothers has sold over 800,000 copies, has been translated into twelve different languages, and sold world-wide. The book appeared on the front page of The Wall Street Journal due to its record breaking sales five months after publication. Her follow up books Meditations for Mothers of Toddlers, Meditations During Pregnancy, Restoring Balance to a Mother’s Busy Life and Creating Balance in Your Child’s Life have sold over 400,000 copies. Her latest book, He’s Just No Good For You: A Guide to Getting Out of a Destructive Relationship has been optioned for television in the U.S. Beth is also pursuing television shows based on her books and is currently in discussions with producers at DreamWorks. A regular guest on The View From the Bay (ABC-7) in San Francisco, Beth is an expert in parenting strategies as well as how to achieve overall balance in daily life. Additionally, Beth’s internet radio show, Quantum Leaps went to #1 on The Women’s Channel on Voice America. She quickly transferred to television with her current show, In the Sisterhood which reaches 70,000 households in the Bay Area and also streams online to a world wide audience. As a Transformational Life Coach, Beth brings more than advice to her clients. She speaks to their soul, penetrates obstacles and perceived problems, moving her clients into greater clarity and more meaningful action. Her client list includes celebrities, politicians, executives, academics, film producers, models, parents, teens, Olympians, authors, business professionals, educators, CEOs, and stock brokers in the U.S., Canada, Australia, Europe, Japan, S. America and Russia. Please use the form below to inquire about booking Beth for a private session or public appearance and she will follow up with you! You may also contact Beth via telephone or email below. For your convenience, Beth also welcomes telephone sessions—a large number of her clients conduct sessions via telephone and Web conferencing.